Preparing tea is an exercise in simplicity that, to paraphrase the words of the Japanese tea master Sen no Rikyu, consists of nothing but boiling water, making the tea, and serving. While these words indeed capture the spirit of tea, preparing any of the hundreds of teas available requires attention and knowledge. Making a delicious cup of tea is a play of tea leaves, the amount of water used, water temperature, the time of infusion, and the vessel the tea is brewed in. Following the correct directions for a tea can make even an unextraodinary tea satisfying, while brewing a rare, expensive tea incorrectly can lead to a bitter, undrinkable infusion. Always use freshly drawn, cold water to prepare tea. Purified and spring water are best because they are relatively free from pollutants and other substances that can dramatically alter tea's taste. On the other hand, it is preferable for the water to have some natural mineral content, as they may enhance the tea's flavor. For this reason, distilled water should be avoided since the lack of minerals will leave the tea tasting flat. Similarly, one should never use pre-heated water-as from the faucet, for instance. This kind of water has mostly likely been overheated, thereby losing oxygen content while picking up possibly harmful substances from the water pipes. Temperature is critical in making good tea. The popular conception that boiling water can be used on any kind of tea is actually incorrect. In fact, each variety of tea, from green to black, needs to be prepared at a different range of temperature. 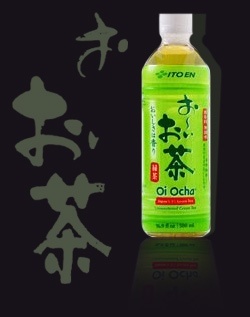 Because of its more delicate processing, green tea often needs a cooler temperature to bring out the right flavor. Conversely, black tea, which has been fully oxidized, needs much hotter water to bring out its characteristic baked sweetness.